Could you use some extra space and protection when camping? With a custom-made awning or semi-permanent annexe, we can double your usable area to keep you dry even in the worst weather. 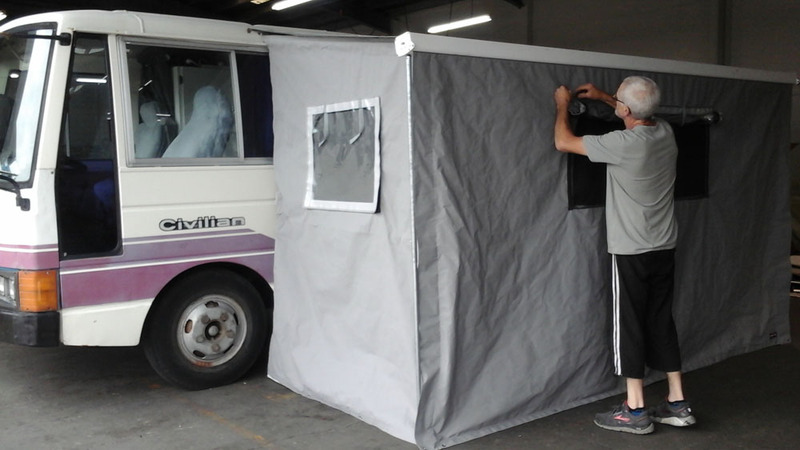 Our skilled team can also repair or modify your existing canvas awning, providing extra clear or mesh windows and doors enhance your space. 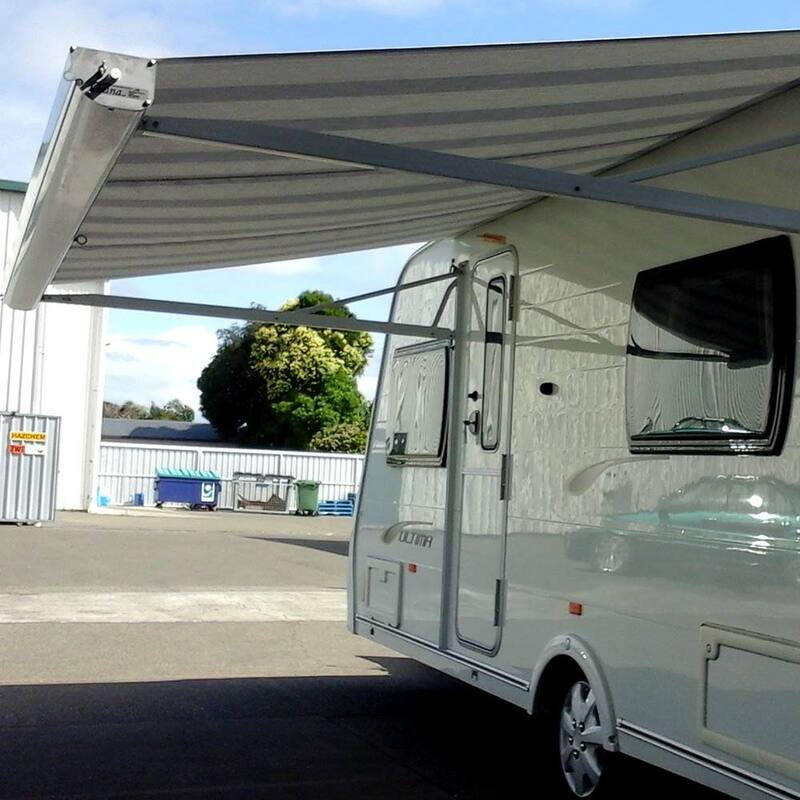 Douglas holds the Hawke’s Bay licence for Cvana retractable awnings, designed for use on motorhomes, caravans and horse trucks. 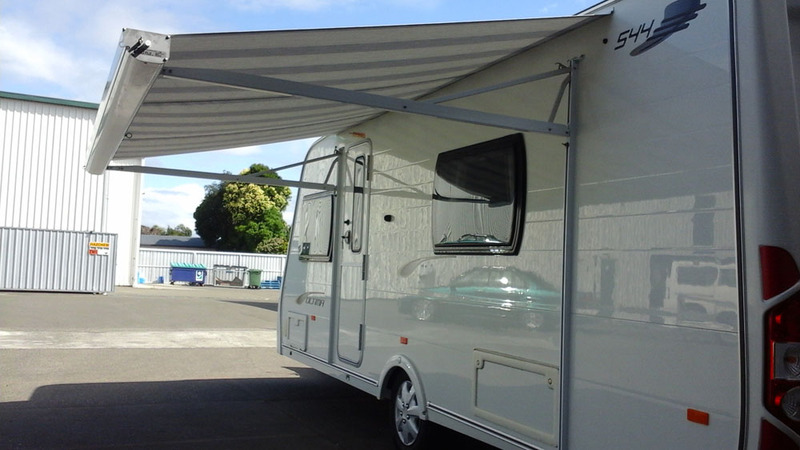 Designed to fit your vehicle and your travels, Douglas also source and fit Thule and Fiamma cassette awnings to motorhomes, caravans and horse floats. These are available in a range of colours and styles, and can be manual or motorized with the flick of a switch or touch of a remote. 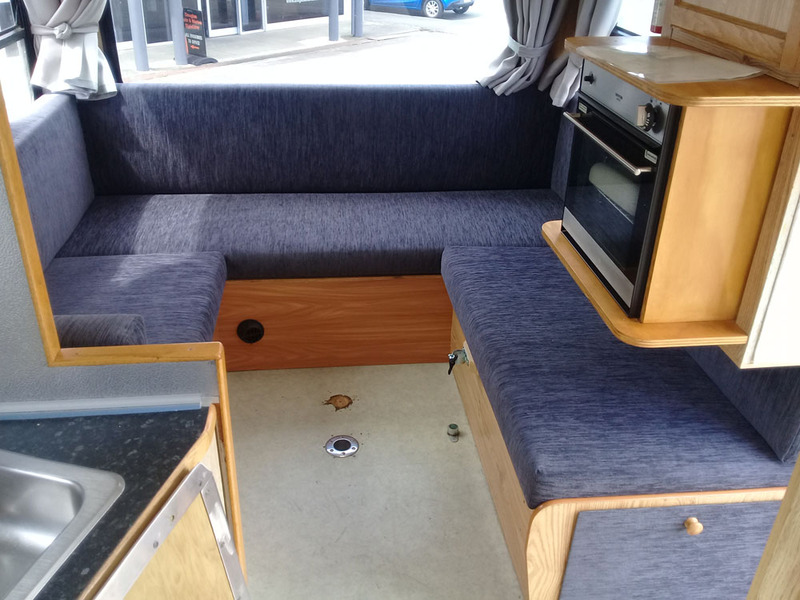 Our team can provide you with expert advice and other innovative ideas for your caravan or motorhome, whether you’re looking for a simple refresh or a complete rebuild of your interior furnishings. 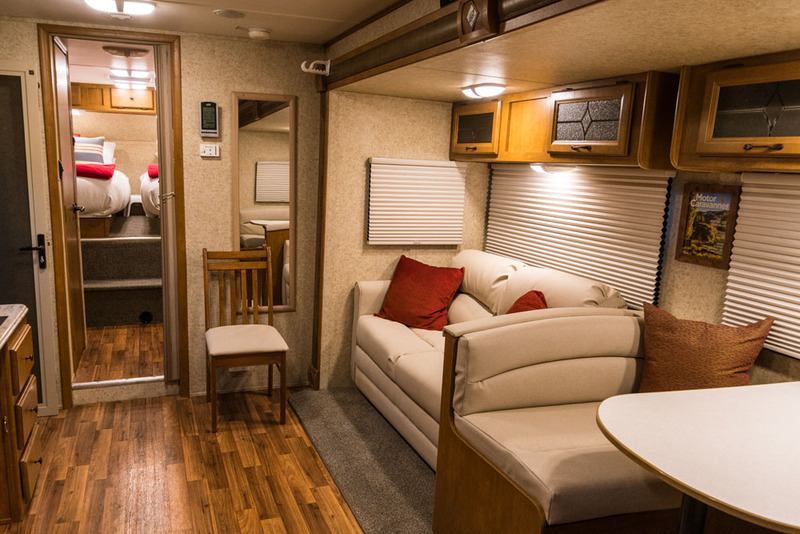 From carpet replacement and repair to wall or headlinings and any type of upholstery, we’ll take you through design, fabrication and installation to find a solution that fits your budget and lifestyle. 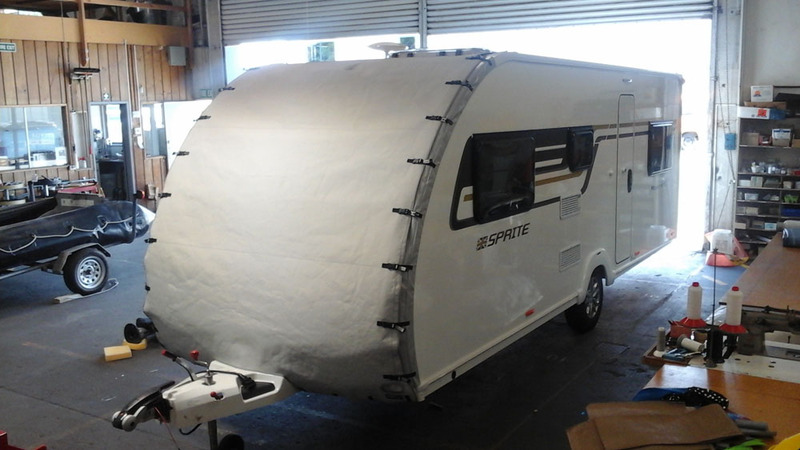 Extend the life and health of your caravan, motorhome, car, ute, or boat squabs and mattresses with HyperVent. 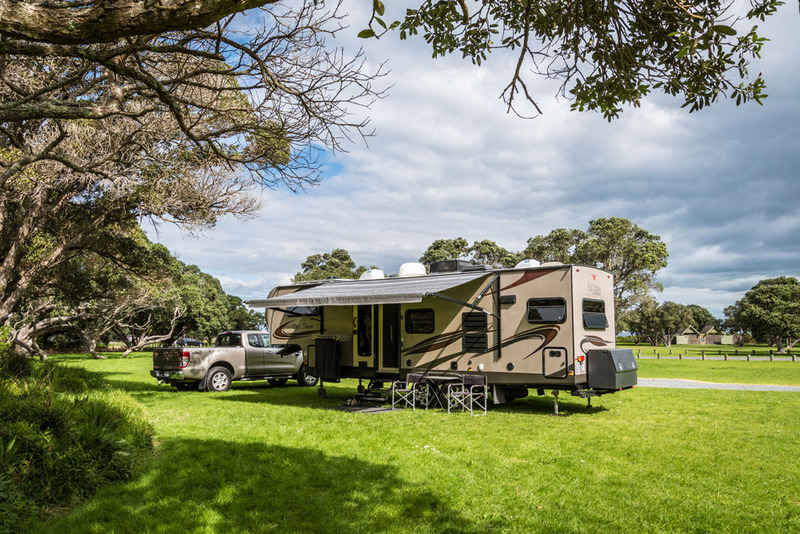 Tell us about your camper and let’s explore your options. You name it, we’d love to customise and craft it. Get in touch.